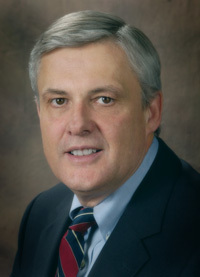 J. SCOTT LECKIE is a 1976 graduate of Dickinson School of Law. His primary focus has been Workers Compensation with an emphasis on occupational lung diseases. Mr. Leckie is a nationally recognized authority on Federal Black Lung law and regulations. He has lectured to bar associations in several states on this topic. He served as Chairman of the Workers Compensation Section of the Pennsylvania Bar Association from 1993 – 1994. He is a member of the Pennsylvania Bar Association and the Washington County Bar Association. The publication Best Lawyers in America lists him as a recognized Workers Compensation litigator. Mr. Leckie has also achieved an AV Preeminent rating of 4.8 out of 5.0 through the Martindale-Hubbell Peer Review. An AV Preeminent rating is a testament to the fact that Mr. Leckie’s peers rank him at the highest level of professional excellence. The ratings are an objective indicator of a lawyer’s high ethical standards and professional ability, generated from evaluations of the lawyer by other members of the bar and the judiciary.